Staff and pupils at Coniston Primary School in Patchway are celebrating after receiving a positive report from schools inspector Ofsted. 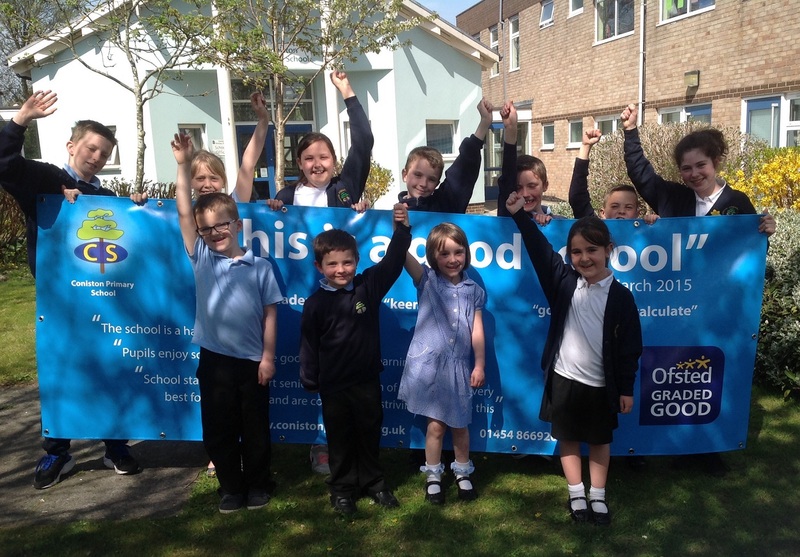 Inspectors visited the school in March and awarded an overall rating of ‘good’, with all of the five individual areas reviewed also assessed as ‘good’. The report’s summary highlights how children enjoy school, work hard in lessons and play well together in the playground, describing the school as “a happy place”. The inspection team were full of praise for the school, noting the “significant improvements” that have been made since the previous inspection in 2013. The report recognised the high ambition and commitment shared by the school staff, stating “the current school staff fully support senior leaders’ vision of providing the very best for all the children and are continuously striving to achieve this.” It also highlights the “very effective support” provided by governors. Teaching was seen to be good throughout the school, with teachers planning lessons “which motivate pupils” and provide “a wide range of experiences” to stimulate “interesting work across the curriculum”. Classrooms are “interesting places to learn”, whilst “good relationships” enjoyed between pupils and teachers underpin all that the school does. The report notes that good progress is made by all children, including the most able, those whose first language is not English and those with special educational needs. Good teaching of maths was also highlighted, as were the strengths in the teaching of reading and the enthusiasm children have for writing.